After a complete upgrade to every aspect of the property, one of Mudgee’s signature wineries relaunches as a bold gastronomic and events venue. Roderick Eime tested his taste buds. There’s a wry smirk on Chef Steve’s face as he digs deep into the punnet of thick coffee-coloured mousse he’s about to put on my plate. The velvet-smooth paste is delicately extracted with an ice cream scoop and placed to the side. As I ponder this strange concoction, Steve continues to taunt me with cheeky glances as he prepares for the next astonishing procedure. Sugar is generously sprinkled on the mass and - voila - a blowtorch! The crystals are quickly turned to brûlée under the blaze of the gas flame, nearly searing our iPhones as we clamber for a photo. 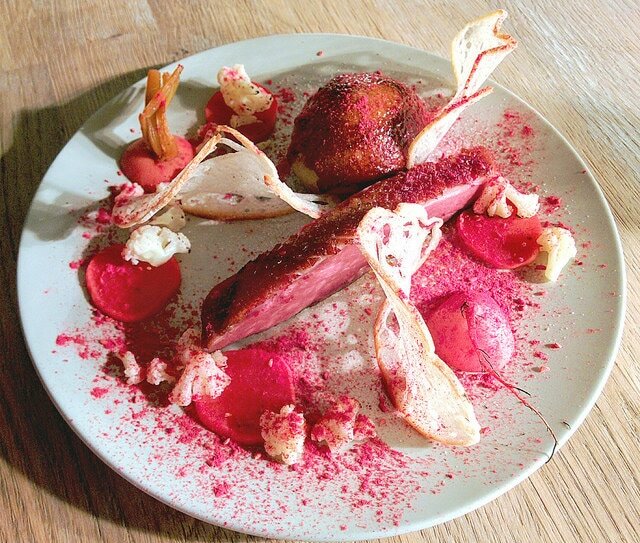 A healthy sliver of crispy skin duck breast, pickled radish, cauliflower fragments and sliced crouton the size of Smith’s crisps are meticulously arranged before the entire ensemble is garnished with a dusting of crimson dehydrated raspberry. We look at each other in amazement as this creation reaches its climax. The ice cream? Duck liver, of course. 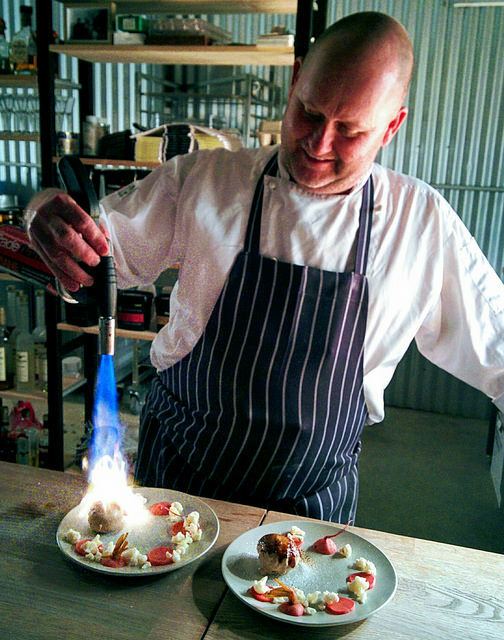 Here at the Blue Wren Winery in Mudgee, Executive Chef and owner Kip Harris, is launching his new five-course winter degustation menu and we’re among the first to try this cavalcade of indulgence, constructed before our very eyes. Boasting the only Chef’s Table experience in the burgeoning NSW Central West wine region, The Restaurant @ Blue Wren exhibits an outrageous cornucopia of flavours and challenges the taste buds of the most discerning and adventurous diner. “This dish is certainly a non-traditional mix of flavours but I love experimenting with methods when putting together the ingredients for a dish and pushing boundaries in playing with the diners’ perception of flavours” Harris tells us, our jaws still dropping. The Restaurant is quickly becoming a ‘must visit’ destination for those wanting to experience fine dining in regional New South Wales and now provides ease for diners with private car transfers for those staying locally. 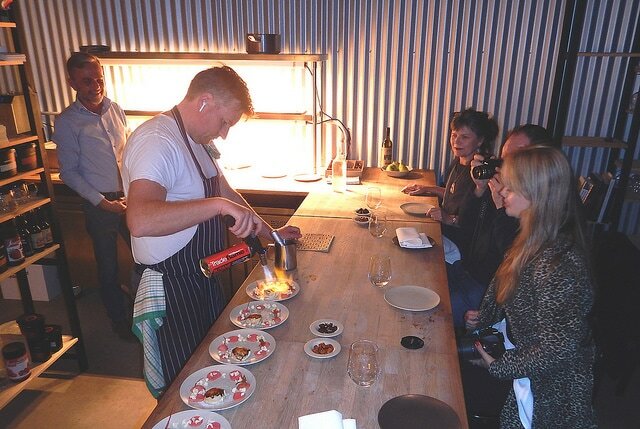 “Since launching our first five-course tasting menu last season we have received a great reaction from our guests. People have trust in our bold flavours and gastronomy forms the foundation for a memorable experience”, he adds. Harris, 37, took over at Blue Wren two years ago from his father and has recently spent more than $500,000 upgrading the property. Enhancements include substantial reworking of the function space to accommodate 200 seated and 450 standing guests as well as a ‘clean slate’ rebuild of the kitchen. Visitors can pop in and enjoy a wine flight, featuring five of the winery’s top single vineyard drops. The reserve shiraz (no.913) is the standout with, as Kip loves to describe, ‘aromas of sweaty saddle and creosote-soaked railway sleepers in the blazing summer sun’. But you could be easily satisfied with the ‘regular’ shiraz (No.914) or one of the delightful whites like the low alcohol and zesty Verscato (No.216) or simmering rose (No.516). Situated a leisurely four hours’ drive from Sydney, Blue Wren is only a short distance from Mudgee township - where guests can explore the delightful country town that offers plenty of old world charm and ambiance mixed with plenty of rustic funk and edgy cuisine like Kip’s. 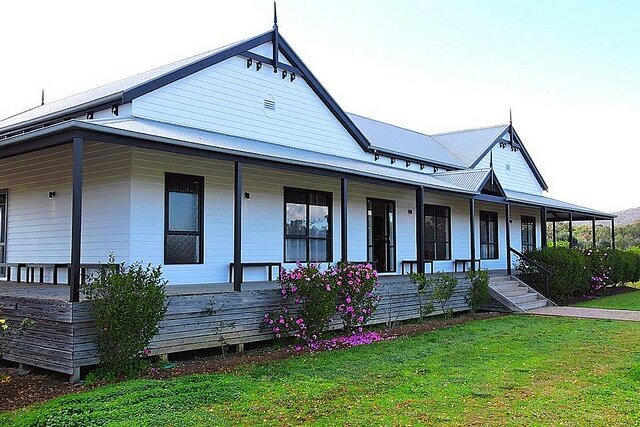 Why not stay at the winery itself in the brand new five bedroom Farmhouse? Take the family or a group of fun friends for a weekend of frolic in the vineyards. You can even fly in economically with regional airline, Fly Pelican http://www.flypelican.com.au , who service Mudgee six times a week from T2 at Sydney. Open for dinner from Wednesday through to Saturday, and lunch Friday through Sunday; the menu features a five-course tasting menu $98 per person with matching wines from the Blue Wren range at $35 per person. Bookings essential. 1. Crispy Skin Duck breast, duck liver ice-cream brûlée, pickled radish, cauliflower, crouton, dehydrated raspberry. 2. 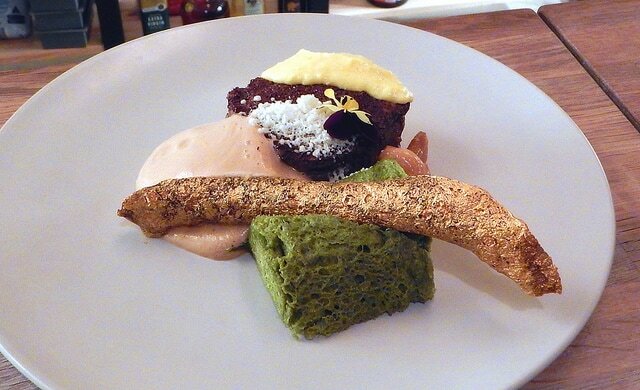 Sous vide chateaubriand, cacao, smoked potato puree, pear, black pudding crisp, morel, vegemite foam, horseradish snow.